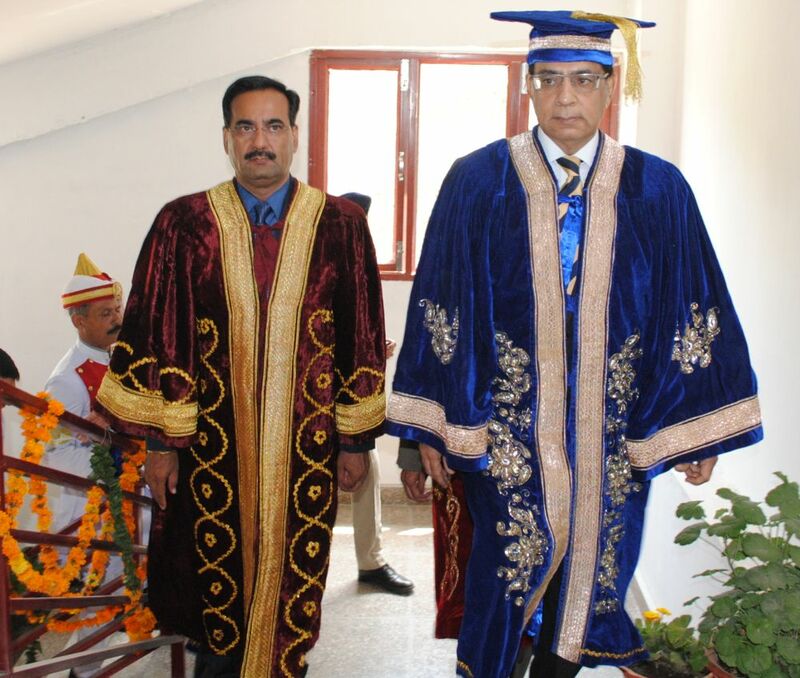 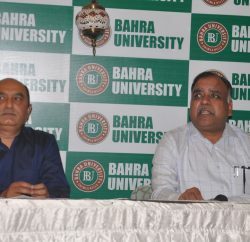 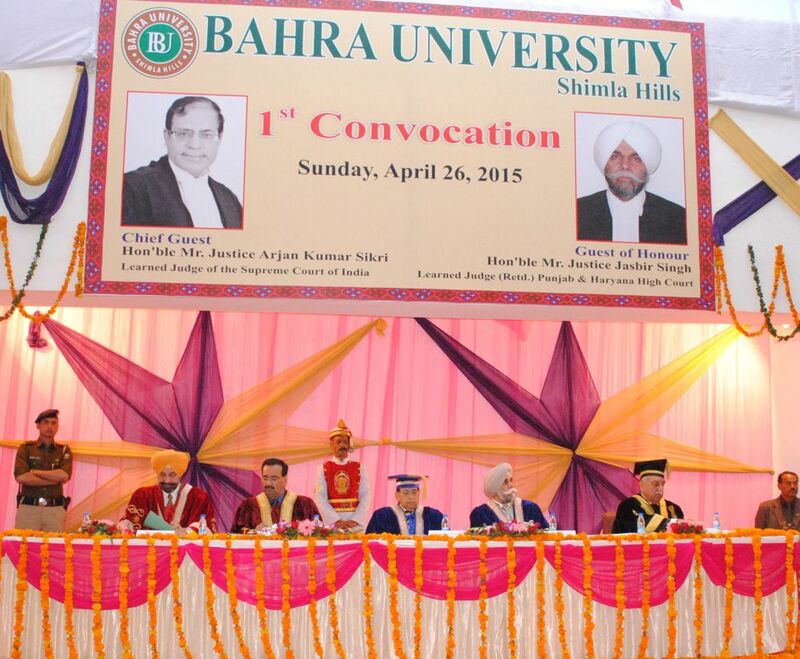 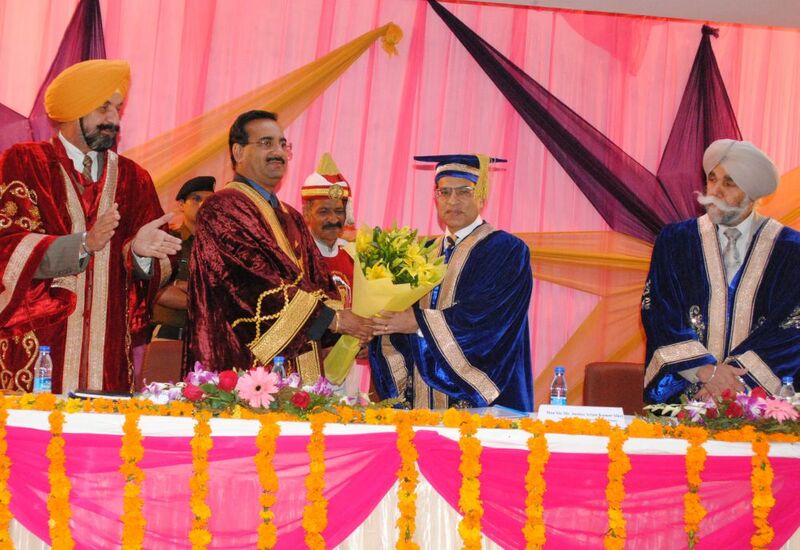 The Bahra University celebrated its First Convocation Ceremony on April 26, 2015 at University Campus Waknaghat. 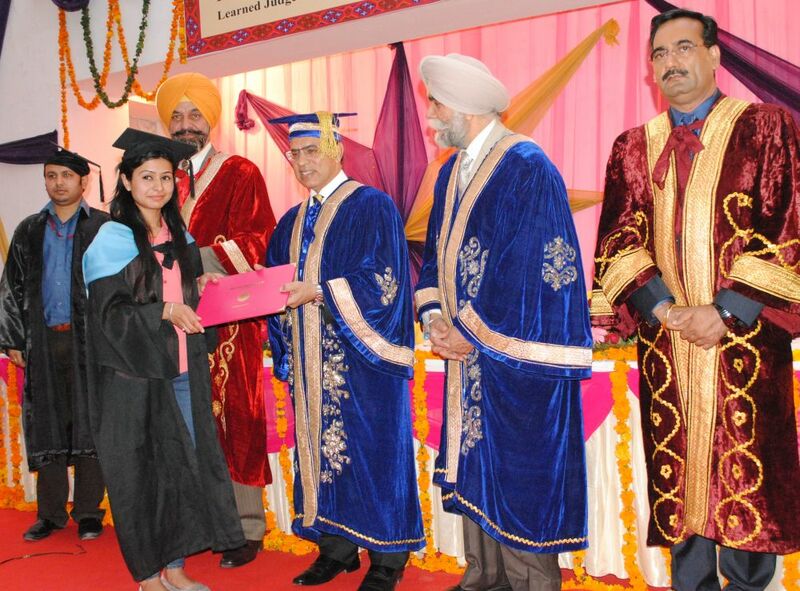 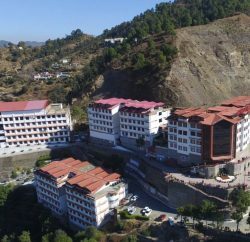 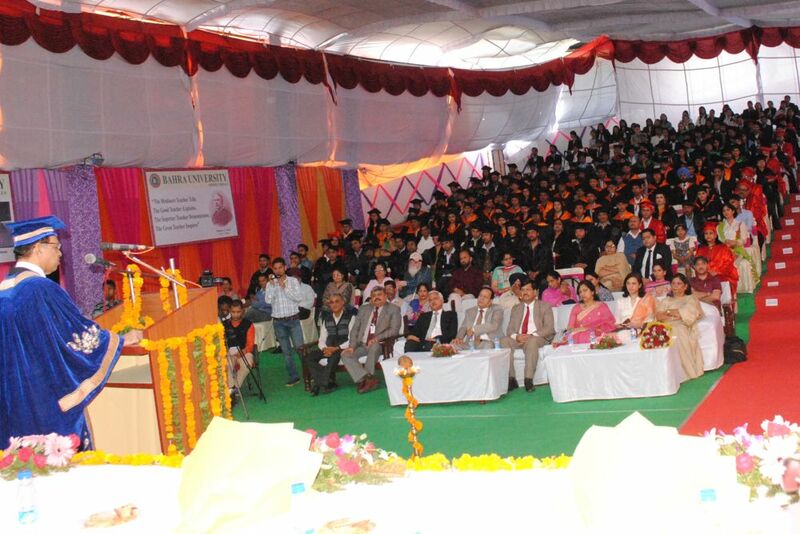 In this Convocation, 535 students of different streams, Civil Engineer 39, Computer Science & Engineering 52, Mechanical Engineering 72, Electronics & Communication Engineering 53, MBA 212, BBA 38, B. Sc (HMCT) 24, MTM 14, M-Tech (CSE) 26 and M. Pharmacy 5, were awarded the degrees, while 48 meritorious students were awarded with Gold Medals for excelling in different courses. 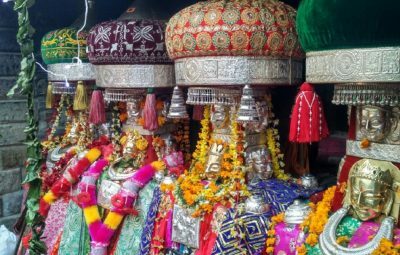 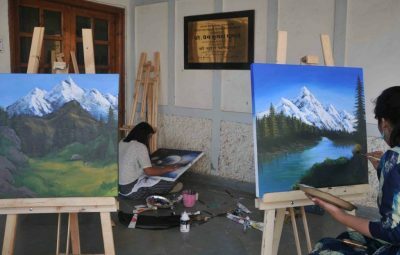 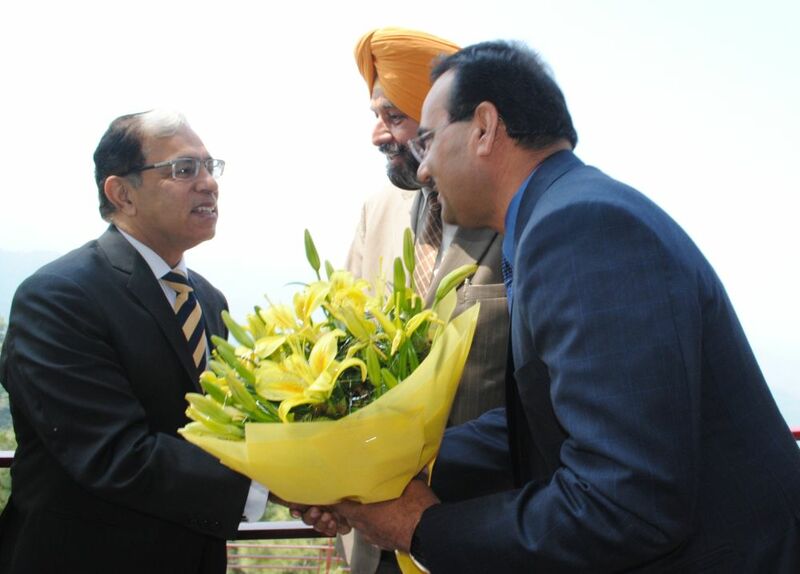 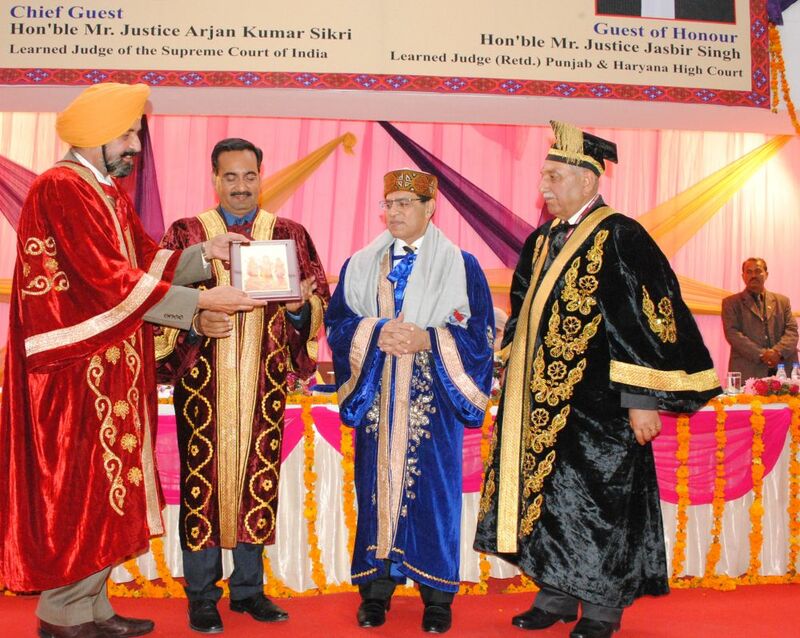 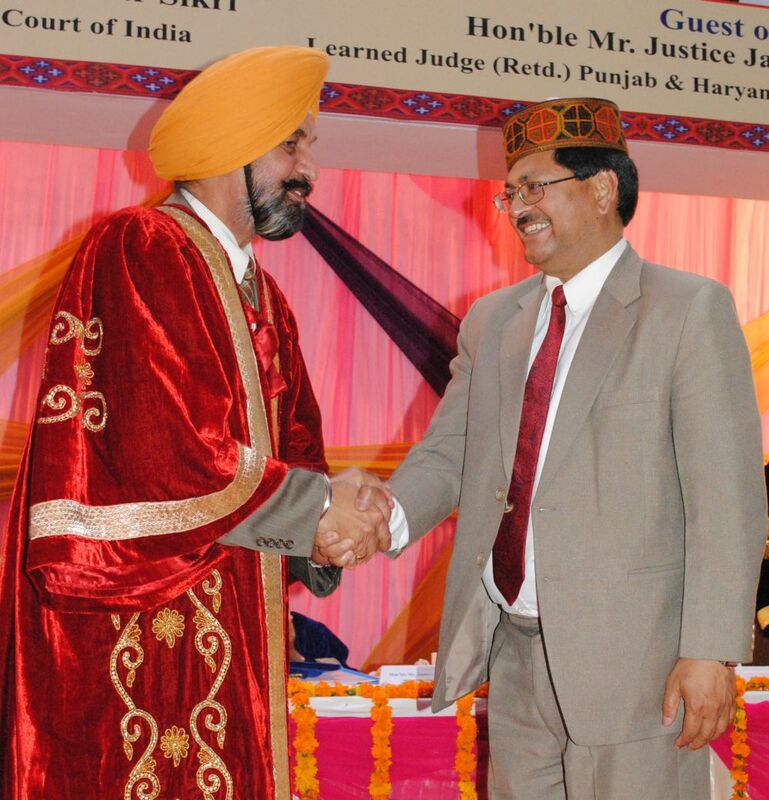 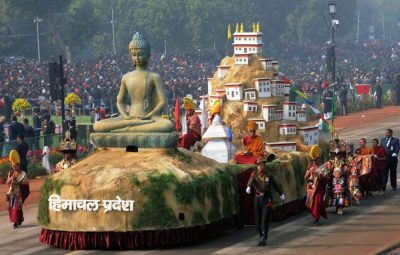 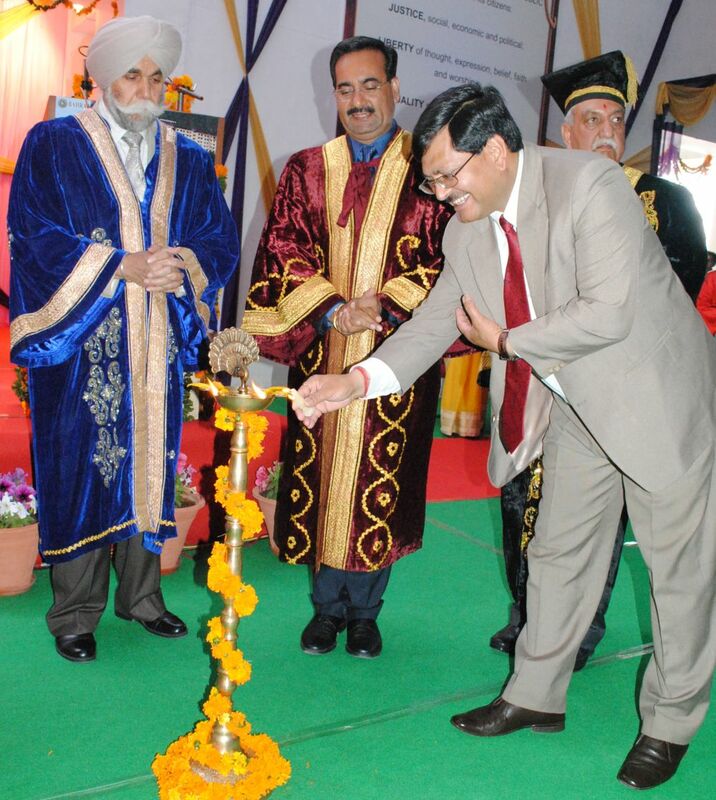 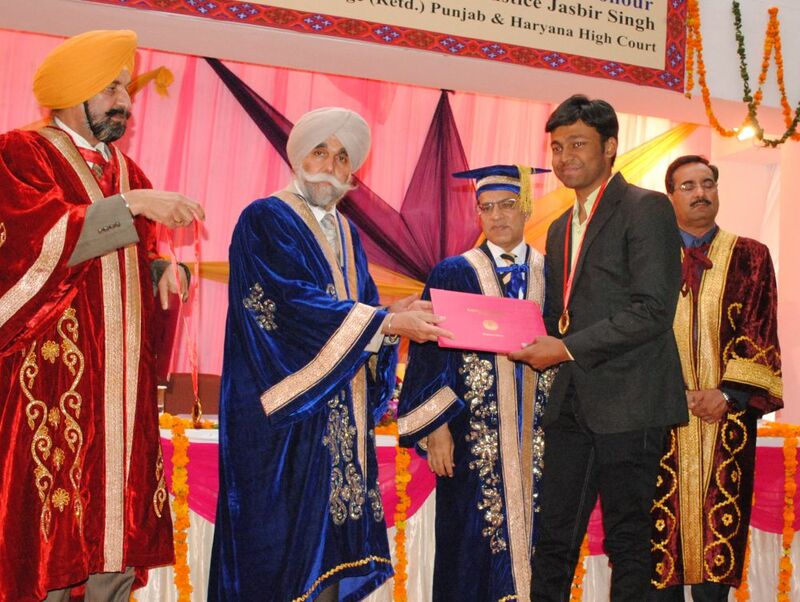 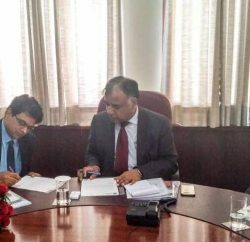 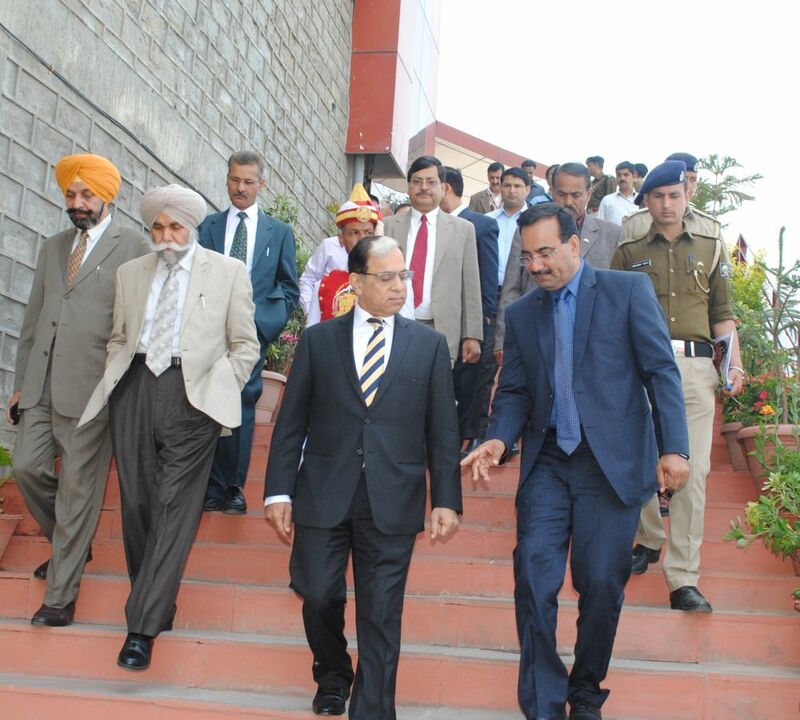 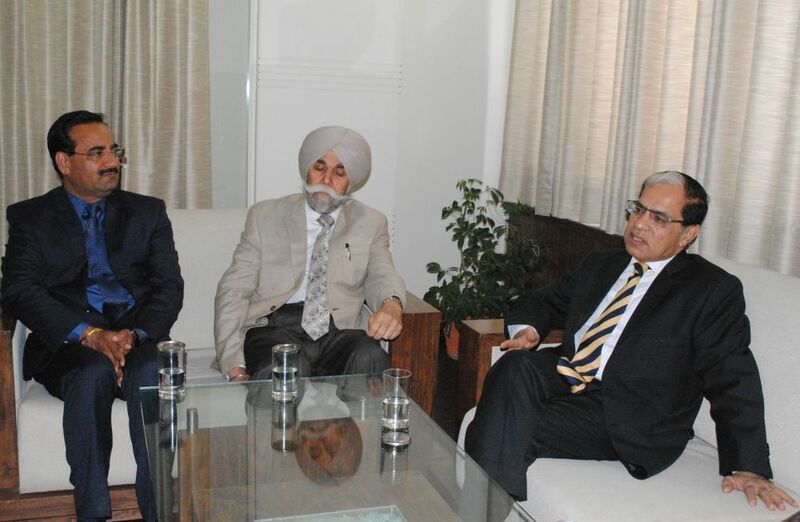 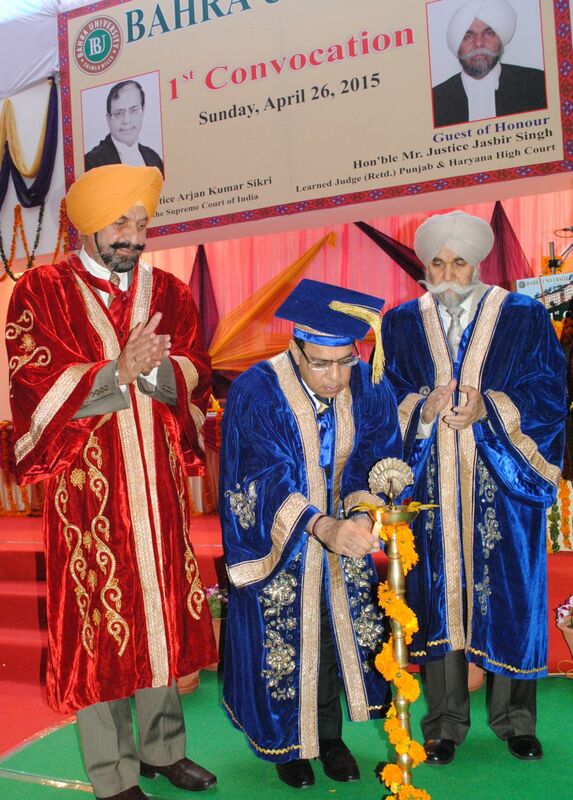 Supreme Court of India Judge Justice Arjan Kumar Sikri was Chief Guest and former Acting Chief Justice Punjab and Haryana High Court Justice Jasbir Singh was Guest of Honour.